China's railway police detained 622 criminals and confiscated 286,000 inflammable or explosive items during the Spring Festival holiday, according to railway police. A railway police officer maintains order at Yuncheng Railway Station in Yuncheng City, Shanxi Province, on February 21. Railway police across the country handled 145 cases of ticket scalping, seizing 150 scalpers and 2,373 tickets. A total of 51 cases of theft, robbery and fraud were dealt with and 45 suspects arrested. Railway police also found and made safe 740 security threats. 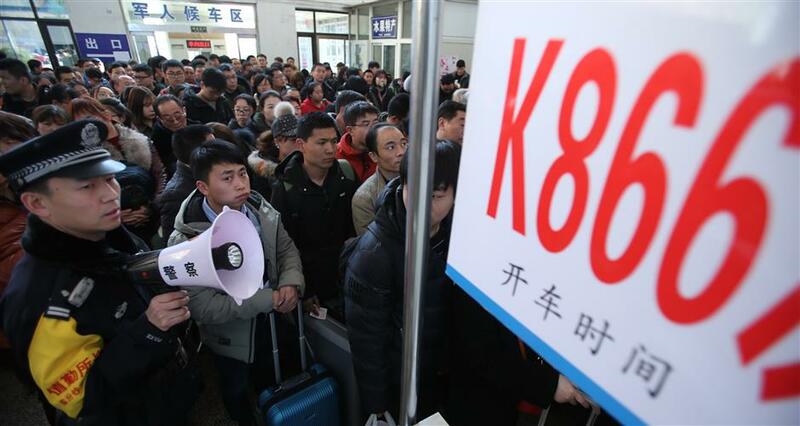 The annual travel rush around the festival, known as "chunyun," often puts the transport system to test. On Wednesday, 12.1 million passenger trips were made by rail as travelers returned to work, up 10.5 percent from the last day of the 2017 holiday and a daily record.